The Koreans keep getting busy and Kia UK has announced pricing for the UK on the full-range of its compact SUV. Come November and the new Kia Sportage is scheduled to start sales “under the authority of the queen” and the chart below might be of great interest to potential customers. Before we get to the chart, a few notes are in order, starting with the engine choices available as the lineup consists of four engines, of which two are petrol units. One of them produces 140 horsepower from a 1.6 liter capacity and it’s bigger brother has 161 horsepower available from a 2.0 liter displacement. At the other end of the scale there are two diesels available, a 1.7 liter delivering 115 horsepower and a 2.0 liter with an output of 136 horsepower. As far as trim grades are concerned the choice is pretty much as simple as it gets with them being badged from 1 to 3, and all wheel drive (AWD) versions kick into the option list at the mid and high grade level given the KX preface. At the top end of the range you will find models of the Kia Sportage that include a fully integrated satellite navigation system, featuring a 7-inch full-map color touchscreen mounted into the central dash console. 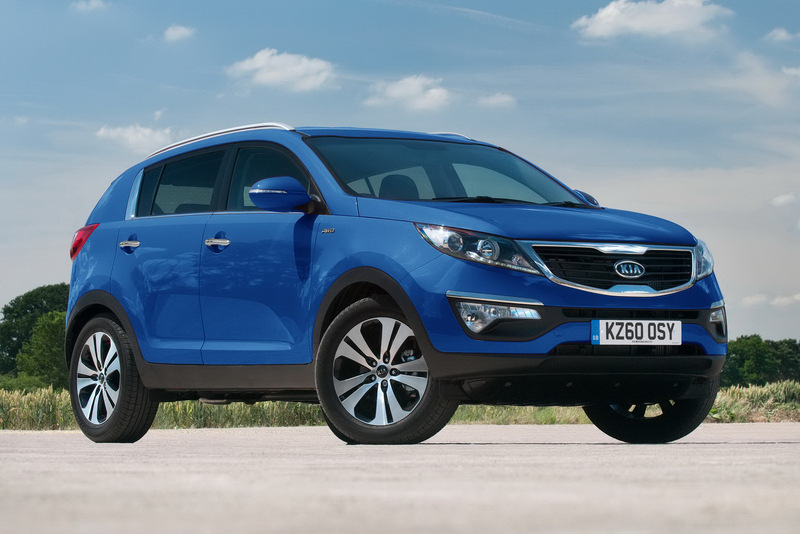 If you’re interested in this new version of Kia’s Sportage you should know that “on the road” prices range from £16,645 for the front-wheel drive 1.6 GDi 1 model to £26,170 for the range-topping 2.0 CRDi 3 variant with all-wheel drive and an automatic transmission.